Y10 IGCSE Drama students - Toulouse city centre. Bonne vacances! We are members of a Y10 GCSE Drama class at a school based in Surrey. 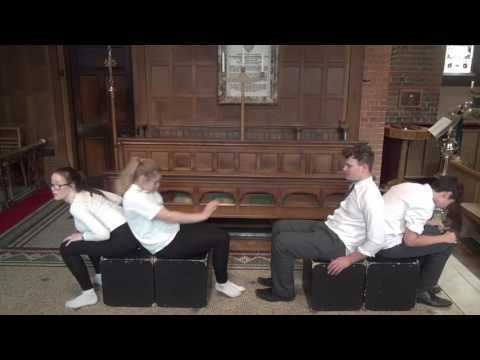 Our Year 12 AS Drama and Theatre Studies students performing their Chair Duets.